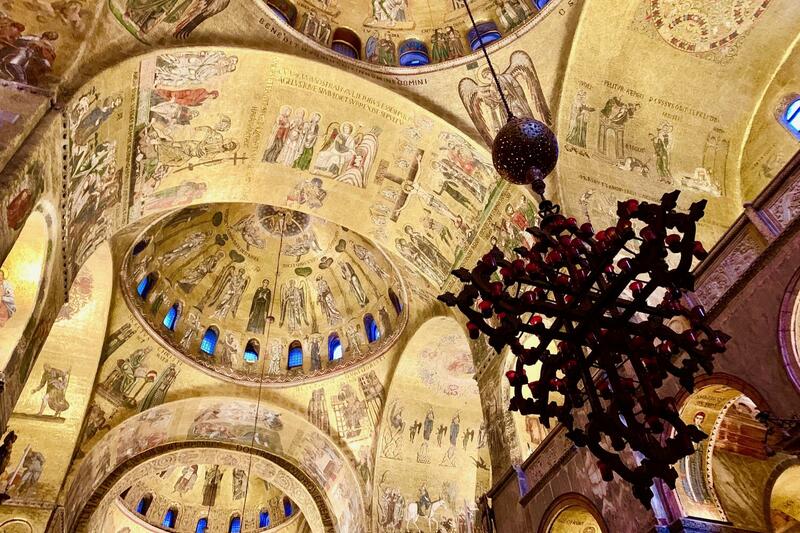 Discover one of the world’s most majestic cathedrals, a true masterpiece of Byzantine art in the heart of Venice. 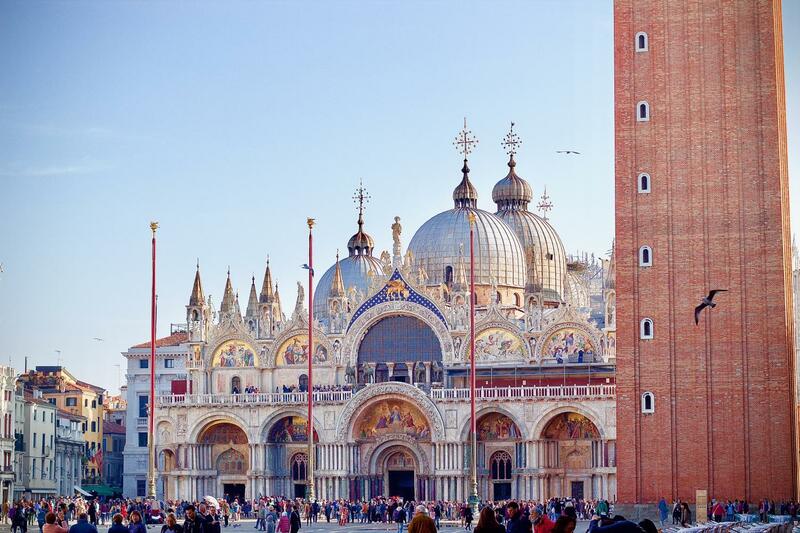 During this one hour guided tour you will be introduced to the history behind the prominent sights of St Mark's Square and enter into the Basilica. 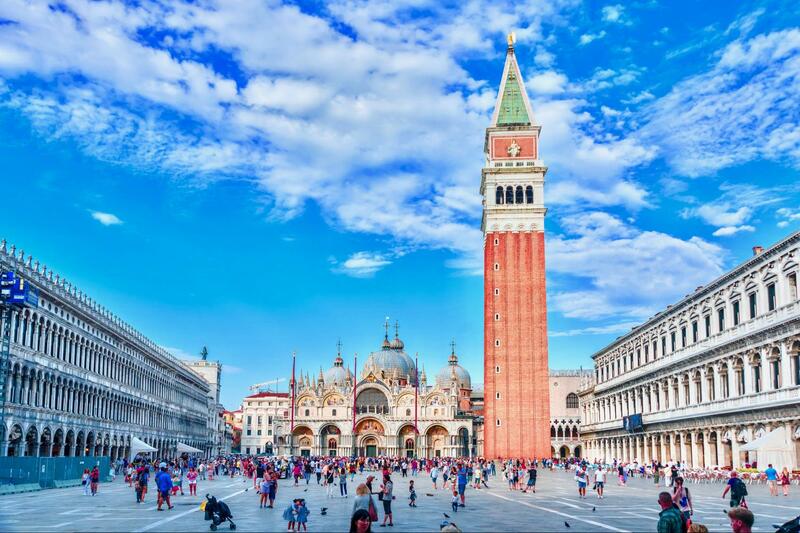 An official guide will provide you with a wealth of information regarding Saint Mark's Square and then accompany you on a detailed tour of the Golden Basilica, once the private chapel of the Doge of Venice, the only one of its kind in Italy, thanks to the sumptuous golden mosaics and impressive marble inlay flooring. 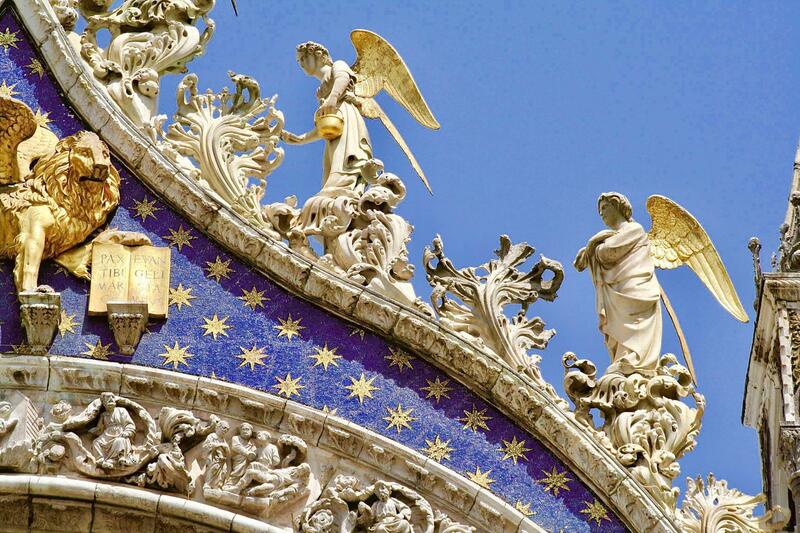 During the tour you will be able to sit down in the church and absorb the atmosphere whilst listening to your guide who will describe the biblical scenes represented throughout the building, together with history and particularities of this ancient Basilica. 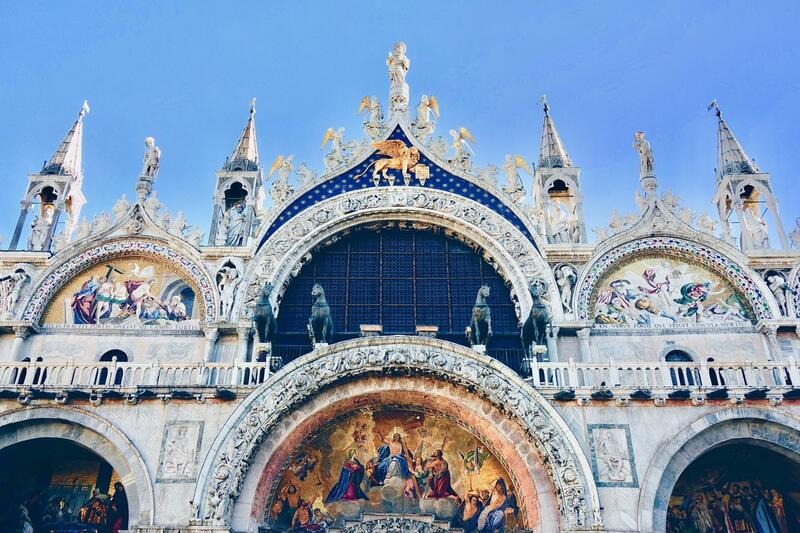 The tour includes the visit of the famous Pala d’Oro -an altarpiece made of gold and silver, and an exquisite example of Byzantine art with a myriad of gems and precious stones. 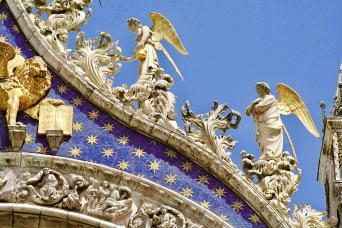 The tour lasts one hour and concludes outside the Basilica in Saint Mark's Square.